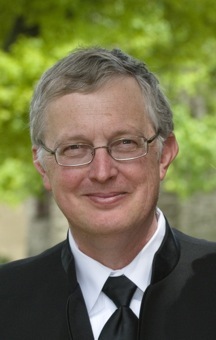 Professor Santner's research interests are in the design of experiments, most recently in experiments that involve computer simulators as experimental platforms, either alone or in combination with a traditional physical experiment. With Brian Williams and Bill Notz, he is the co-author of the Second Edition of the book ``The Design and Analysis of Computer Experiments'' on this subject (publisher Springer Verlag). With Robert Bechhofer and David Goldsman, he is co-author of a book on the design of experiments for statistical selection and screening. Professor Santner is currently working with colleagues at the Hospital for Special Surgery on projects studying the performance of bone-implant systems and on the development of biomaterials for joint restoration. This research uses a combination of computer simulator and physical system experimentation. Professor Santner is the former Director of the Department of Statistics' Consulting Service and former Department Chair. "Computer experiment designs for accurate prediction," Erin R. Leatherman, Thomas Santner, and Angela Dean (2018) Statistics and Computing, 28(4), 739-751. "Sequential Design of an Injection Molding Process Using a Calibrated Predictor," Po-Hsu Allen Chen, María G. Villarreal-Marroquín, Angela M. Dean, Thomas J. Santner, Rachmat Mulyana, Jose M. Castro (2018) Journal of Quality Technology, 50(3), 309-326. "Sequential Pareto Minimization of Physical Systems Using Calibrated Computer Simulators," Po-Hsu Allen Chen, Thomas J. Santner, and Angela M. Dean (2018) Statistica Sinica, 28(2), 671-692. "Designing Combined Physical and Computer Experiments to Maximize Prediction Accuracy," Erin R. Leatherman, Angela M. Dean, and Thomas J. Santner (2017) Computational Statistics and Data Analysis, 113, 346-362. "Reducing uncertainty when using knee-specific finite element models by assessing the effect of input parameters," Hongqiang Guo, Thomas J. Santner, Amy L. Lerner, and Suzanne A. Maher (2017) Journal of Orthopaedic Research, 35 (10), 2233--2242. "Multiobjective optimization of Injection Molding using a calibrated predictor based on physical and simulated data," Maria G. Villarreal-Marroquin, Po-Hsu Chen, Rachmat Mulyana, Thomas J. Santner, Angela M. Dean, and Jose M. Castro (2017) Polymer Engineering & Science, 57 (3), 248--257. "Using physical and simulated data to improve injection molding performance," Maria G. Villarreal-Marroquin, Po-Hsu Chen, Rachmat Mulyana, Jose M. Castro, Thomas J. Santner, and Angela M. Dean (2016) Plastics Research Online, http://www.4spepro.org/pdf/006773/006773.pdf . "Multiobjective Optimization of Expensive Black-Box Functions via Expected Maximin Improvement," J. D. Svenson and T. J. Santner (2016) Computational Statistics and Data Analysis, 94 , 250-264. "Estimating Sensitivity Indices from Computer Simulator Output," J.D. Svenson, T.J. Santner, A. M. Dean, and Hyejung Moon (2014) Journal of Statistical Planning and Inference , 144 , 160-172. "Two-stage Sensitivity-based Group Screening in Computer Experiments," Hyejung Moon, A. M. Dean, T.J. Santner (2012) Technometrics, 54(4), 376-387. "Non-collapsing Space-filling Designs for Bounded Non-rectangular Regions," D. Draguljic, T.J. Santner, A.M. Dean (2012) Technometrics, 54, 169-178. "Algorithms for Generating Maximin Latin Hypercube and Orthogonal Designs," H.J. Moon, T.J. Santner, A.M. Dean (2011) Journal of Statistical Theory and Practice, 5, 81-98. "Sequential Design of Computer Experiments for Constrained Optimization," B.J. Williams, W.I.~Notz, and J. Lehman (2010) in Statistical Modelling and Regression Structures: Festschrift in Honour of Ludwig Fahrmeir, 449--472, Physica-Verlag, Heidelberg. "Simultaneous Determination of Tuning and Calibration Parameters for Computer Experiments," G. Han, T.J. Santner, and J.J. Rawlinson (2009) Technometrics, 51, 464-474. "Prediction for Computer Experiments Having Quantitative and Qualitative Input Variables," G. Han, T. J. Santner, W.I. Notz, and D.L. Bartel (2009) Technometrics, 51(9), 278-288. "Bayesian Analysis of Time Evolution of Earthquake," Mario Peruggia, and Thomas Santner, Journal American Statististical Association, 91, 1209-1218, 1996 (pdf abstract , bibtex reference). "Detecting Stage-Wise Outliers in Hierarchical Bayesian Linear Models of Repeated Measures Data," Mario Peruggia, Thomas Santner, and Yu-Yun Ho, Annals of the Institute of Statistical Mathematics, 56, 415-433, 2004 (pdf abstract , bibtex reference).